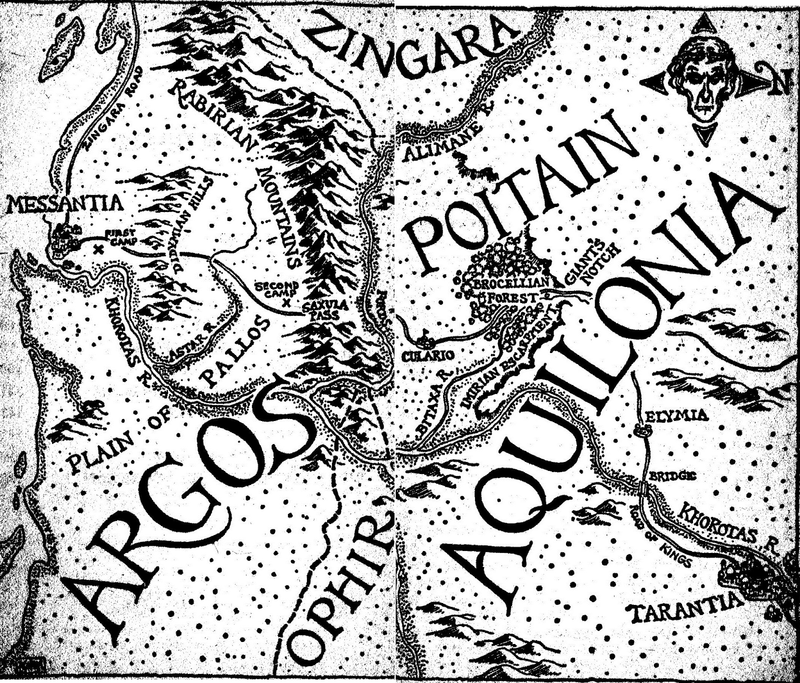 One of my earliest reviews was for the first two chapters of Adrian Cole's Oblivion Hand (reviewed on Black Gate today), and it was pretty harsh. I came down on Cole for everything from the names of characters to his purple prose. While I enjoyed the stories I still felt the need to hold them at some sort of critical distance. It was if a book was too nutty and too much fun it couldn't be that good, it must be defective in some way. Well, in my two and a half years of reading lots of S&S and puzzling out precisely why certain books work for me and others don't, I've grown out of that attitude. 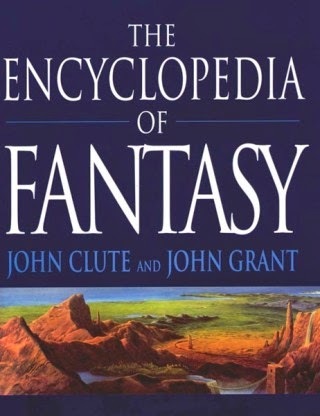 John Clute's Encyclopedia of Fantasy called the Voidal stories "not serious" and I find I not only disagree with that statement, but I also find it obnoxious. I mean what is meant by that? Do all stories have to have some deeper meaning or make some larger artistic statement? Is it saying that the stories were just something Cole spun out to make some quick cash? I understand disliking the stories. 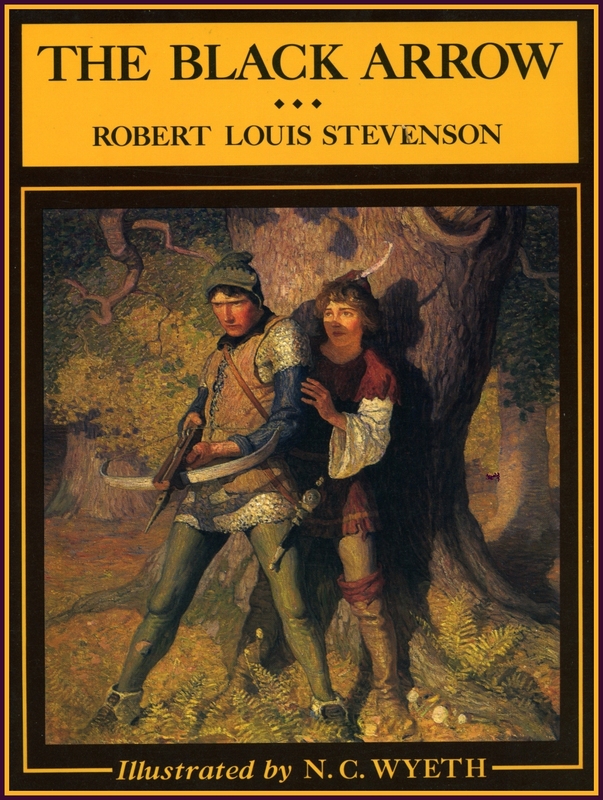 They are crazy, thick with adjectives, and the character doesn't have much personality (though that starts to change as the book goes on and the imp, Elfloq has loads of character). 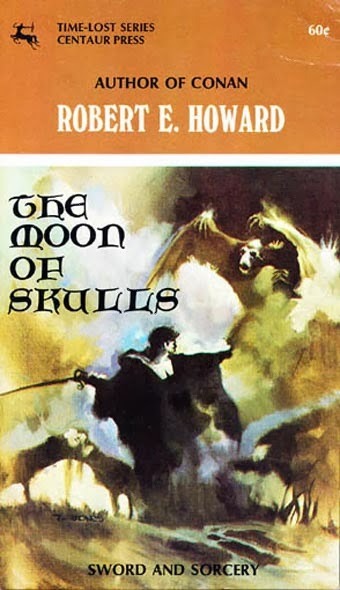 But Cole was just writing some fun, colorful tales where his penchant for HPL, CAS and Druillet could be indulged. If the stories hold your attention what else do they need to considered successful? And if the art is intentional how is it not serious? For music this week, Queens of the Stone Age. I like Josh Homme's first band, Kyuss, but I really like QotSA. His project with John Paul freakin' Jones and Dave Grohl, Them Crooked Vultures packs a mighty wallop too. 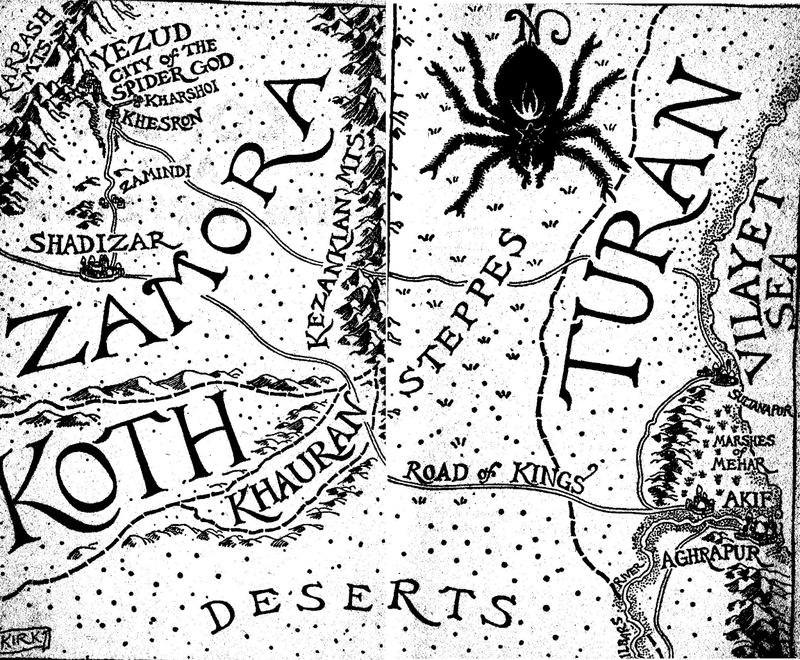 Looking back, I think everyone can agree that the best thing about the Conan pastiches from Berkley were the Tim Kirk illustrations. 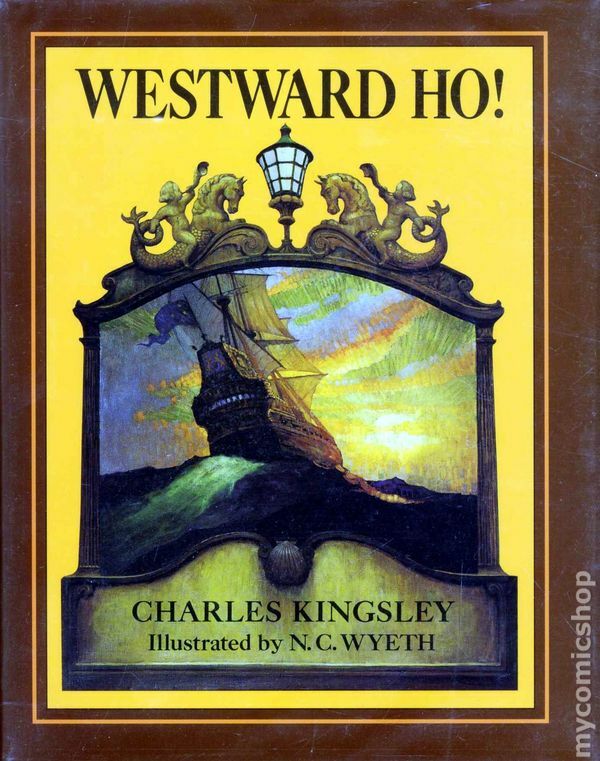 Each book has a map followed by pictures ranging from mundane items, like poinards and hauberks, to magical paraphenelia. 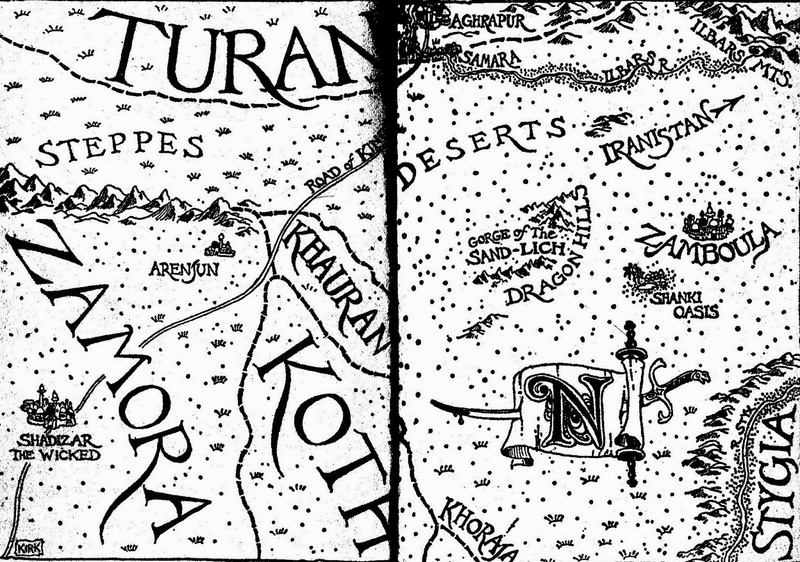 They're simle black and white pictures that still figure heavily in my mental images of Conan's world. 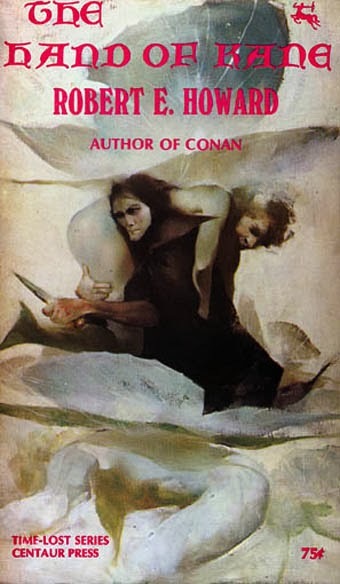 They are as integral to those images as is Frazetta's and Kelly's depictions of Conan. 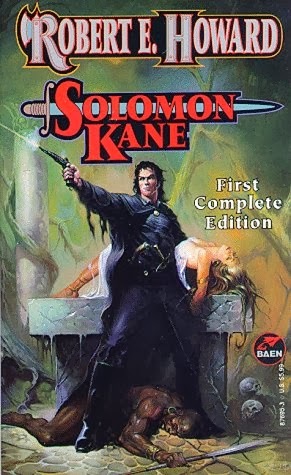 Solomon Kane gets much better artistic representation on his covers than Kull does. 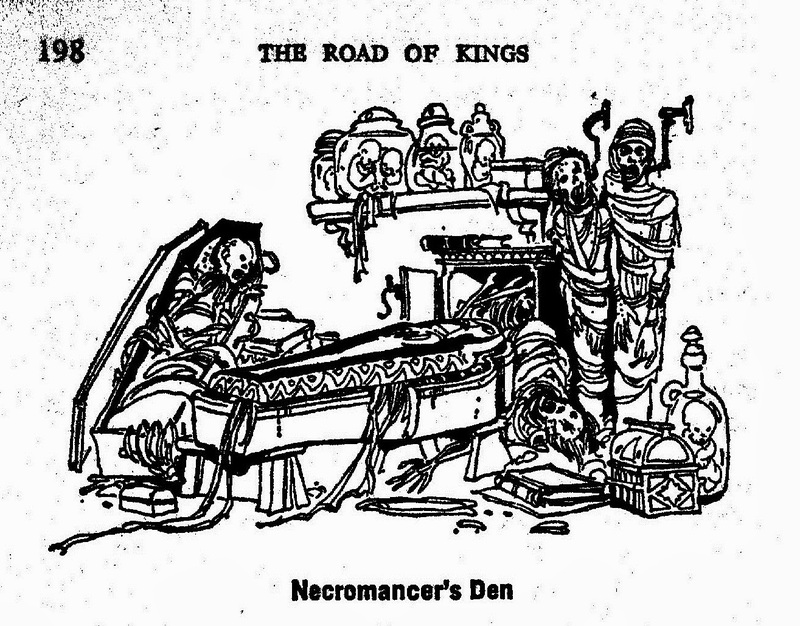 I think Jeff Jones' illustrations are the best. 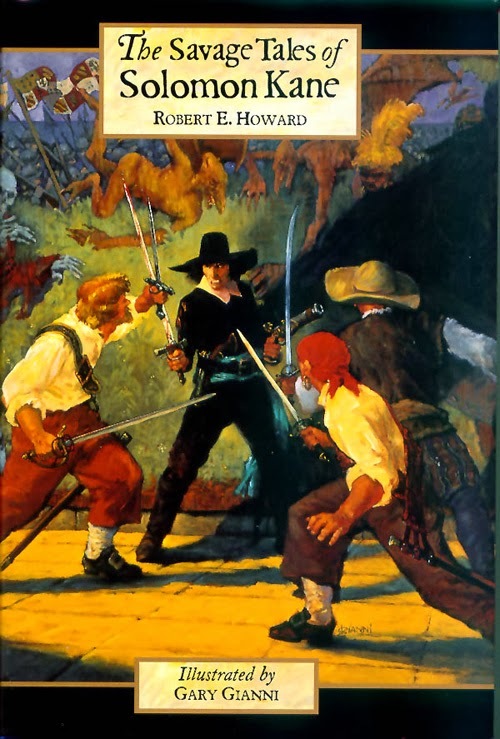 They're appropriately dark and moody for Howard's dark and moody Puritan adventurer. Don't get me wrong, Gary Gianni's Wyeth-style pictures are awesome. 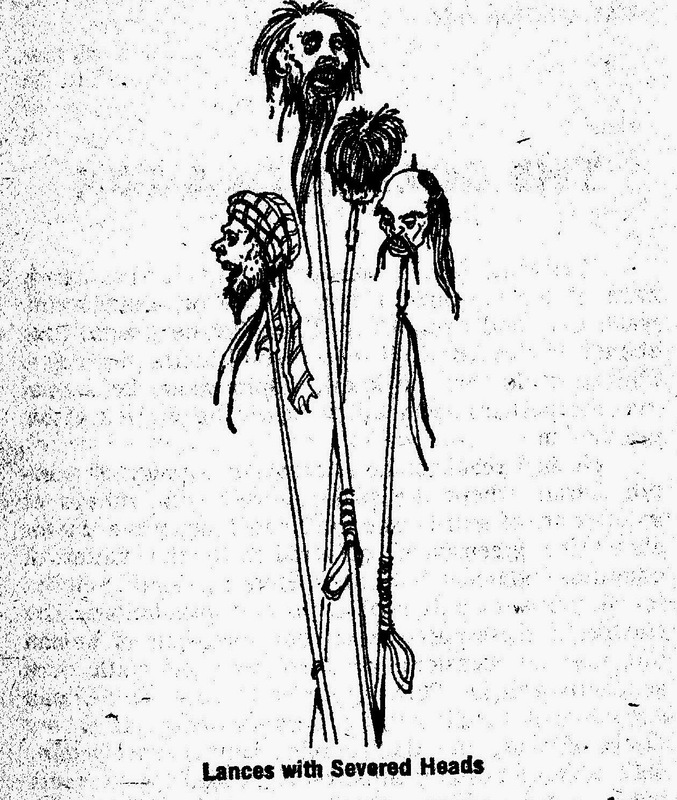 Looking at them, it's pretty easy it to imagine a beautiful Scribner's Illustrated Classic version of Solomon Kane. But the Jones' pictures get at the mix of action and darkness better. 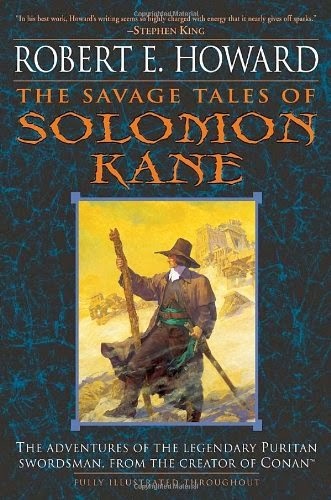 This is the first Solomon Kane book I owned. 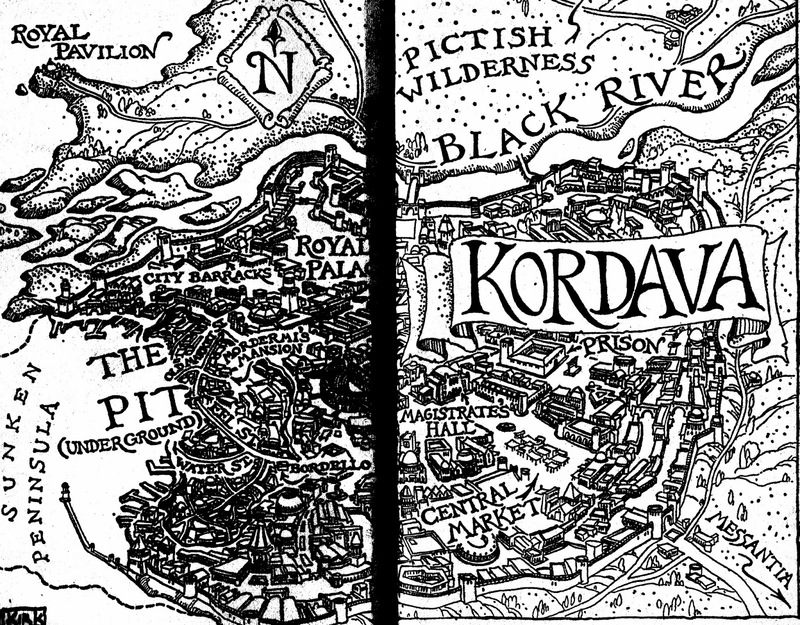 The cover's ok (I don't know who did it and I'm not near the book), but the Tim Kirk interior illustrations and maps are even better. 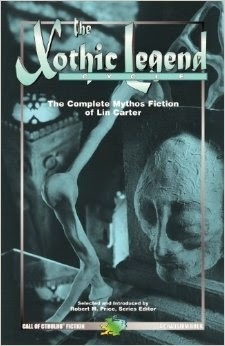 Bob Larkin's cover for the Bantam collection I didn't own is pretty awful. With out thrust pecs, Kane's planning to protect the shiny, naked girl. Sheesh! Still, I'd like to have a copy for the Tim Kirk art. 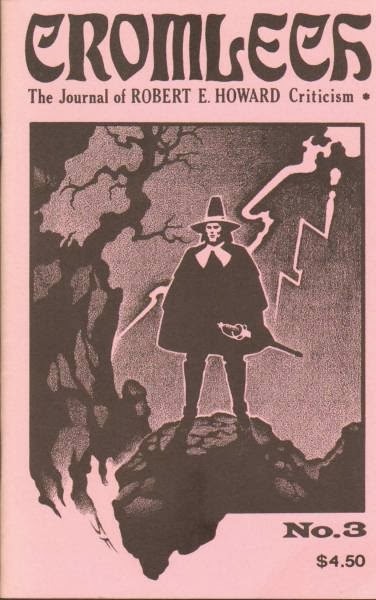 This third and final issue of Cromlech has a pretty neat cover by Steve Fabian. Nice and stark, just like Kane's pilgrim getup. 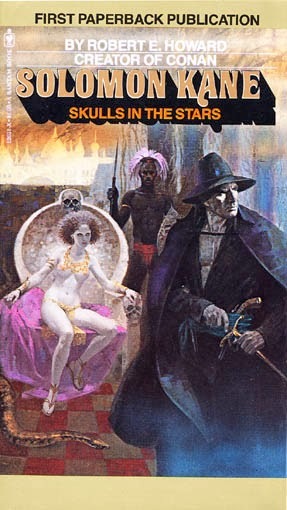 Ken Kelly, Howard artist nonpareil, drops the ball with this one. 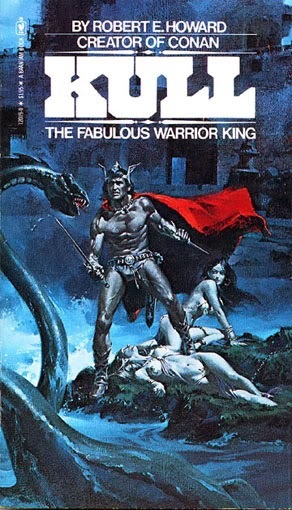 A master of motion and energy with his Conan covers, this looks static, as if Kane's posing for a statue. So here we come at last to Gary Gianni's beautiful covers. Like I wrote, this could easily have graced a Scribner's Classic Howard book in a better world. 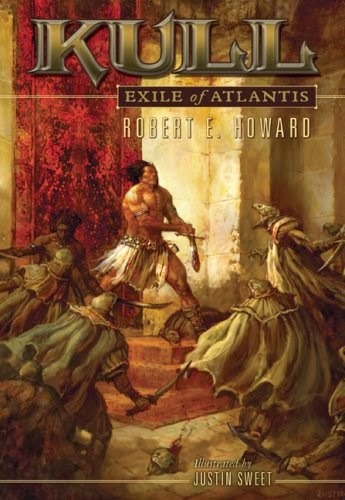 Who doesn't like sword fights and monsters? It would have looked perfect between Westward Ho! and The Black Arrow. 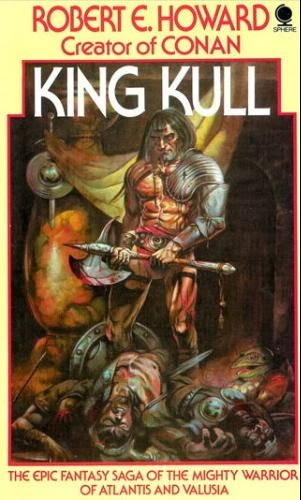 King Kull never got the illustrated love Conan received. 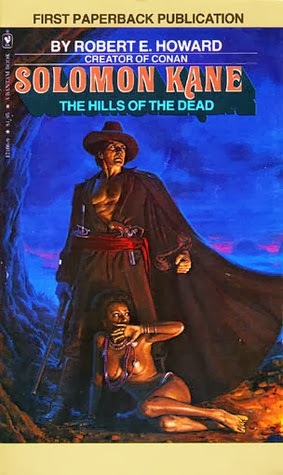 It's a shame because there's a lush, liana-drapped decadence I associate with the Kull stories that I think would lend themselves to the sort of art folks like Frazetta and Kelly specialized in. Still, there've been so decent to excellent covers over the years. One of the first and easily my favorite. 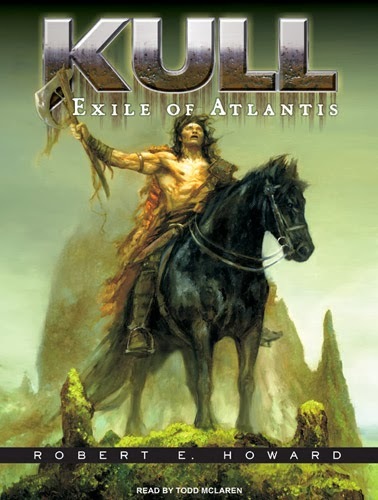 It captures Kull's balancing act between his savage heritage and Valusia splendor. Plus - serpent man in background with bat/monster. I'm not a big fan of Achilleos and this only increased my lack of love for his work. The gore doesn't bother me, it's the creepily muscled torso. Yeah,....this just isn't good at all. It's alright. Kelly's one of the best Conan artists but this doesn't quite work for me. 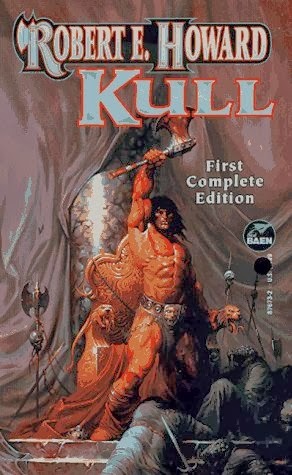 Kull's a little too Conanesque for me. I don't know, I expect more than a fur loin cloth. And his right hip's oddly proportioned. These are my second and third favorites. 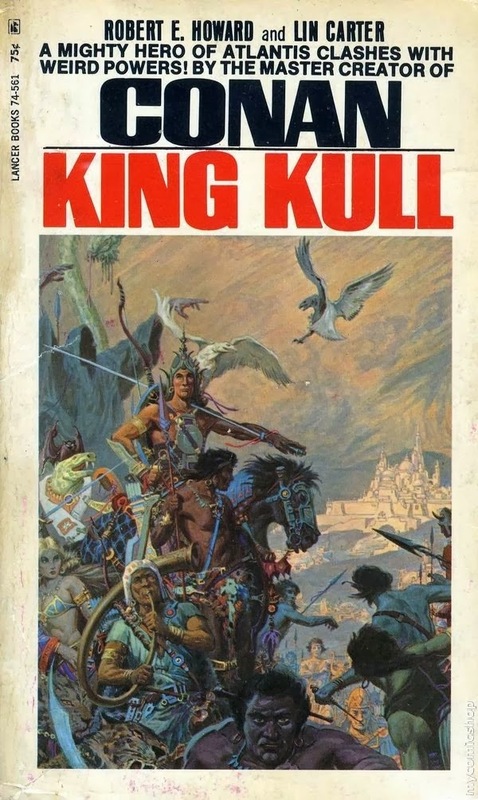 Murderous serpent men in the first, a battlefield declaration in the second, in both illustrations Kull looks just right. I won't, because a) I've got too many other things to be read, b) I'm lazy, but just looking at these pictures really makes me want to read the stories again. Or at least wish the Kull movie didn't stink to high heaven. 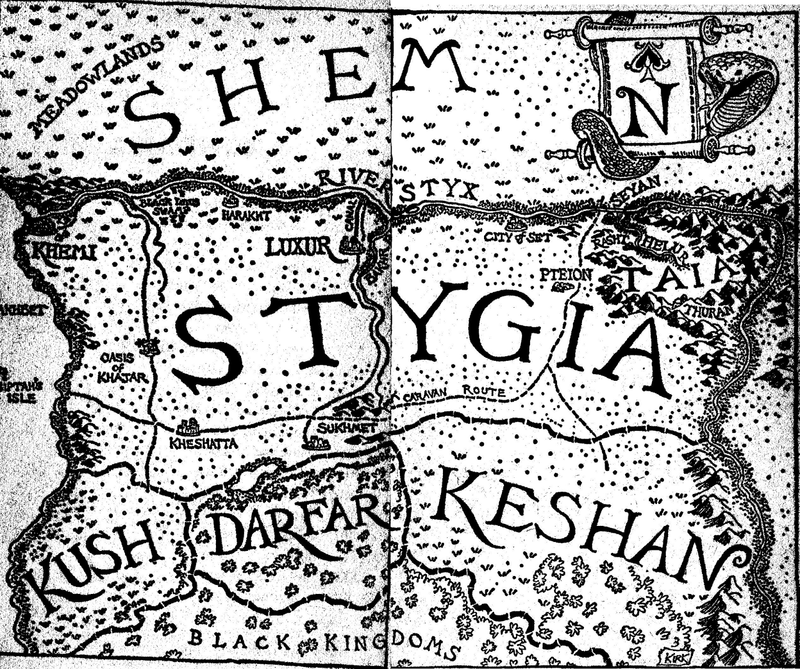 I've written before about my discovery of Witch World before. 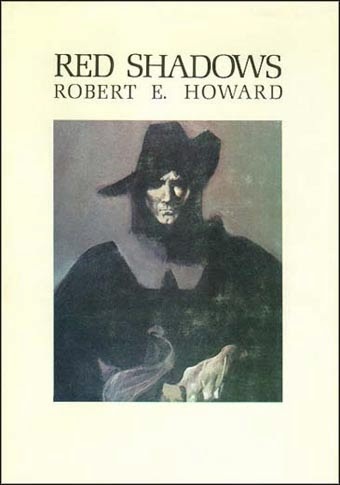 Reading that first story, "The Toads of Grimmerdale", by a long dead author, courtesy of an even longer dead editor was some sort of blessing from the book fates (you know, the same ones that let you find that near perfect first edition paper back original you've been hunting for years while rummaging through the boxes at a church book fair). 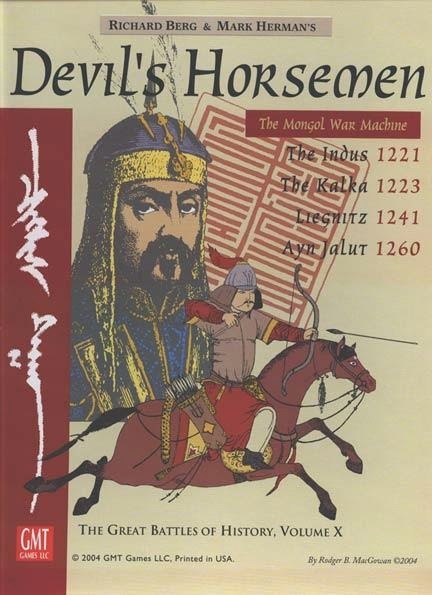 I really didn't expect to discover a decades old series that would so catch my attention. Four novels and two collections of short stories in I have yet to be disappointed. 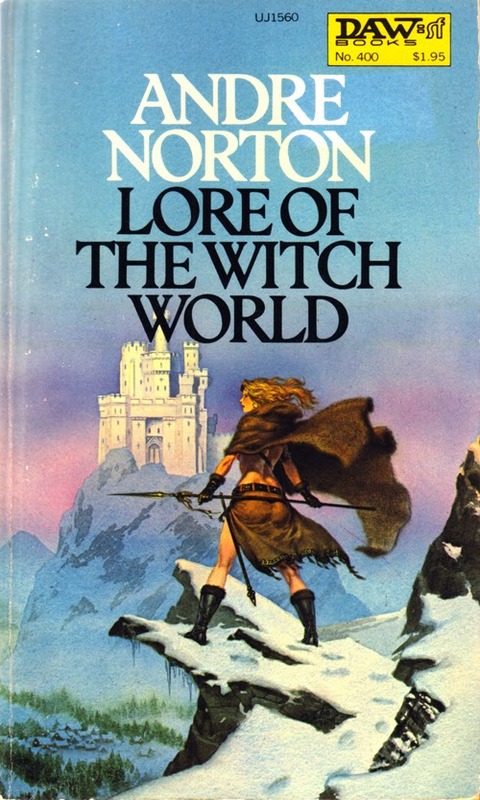 If you haven't tried Witch World yet, I'd say give the story collection Lore of the Witch World. 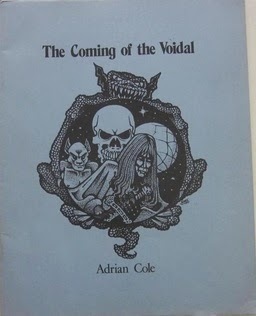 It's got the aforementioned "Toads" and six other stories. 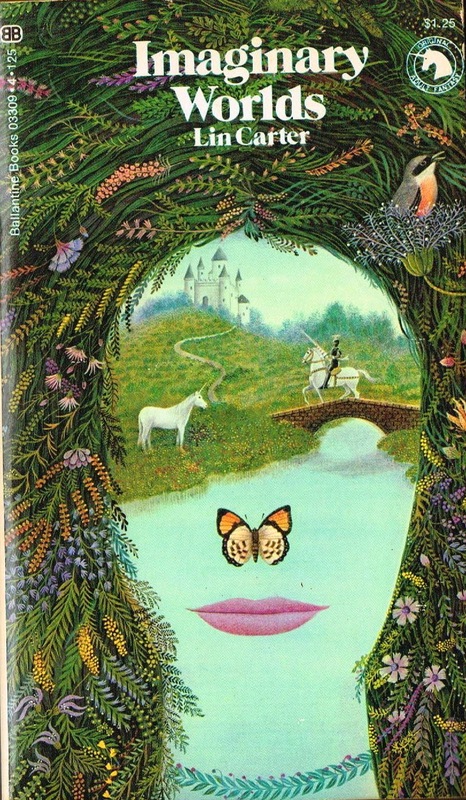 The novels, especially Witch World and Year of the Unicorn, are very good, but the short stories are even better. 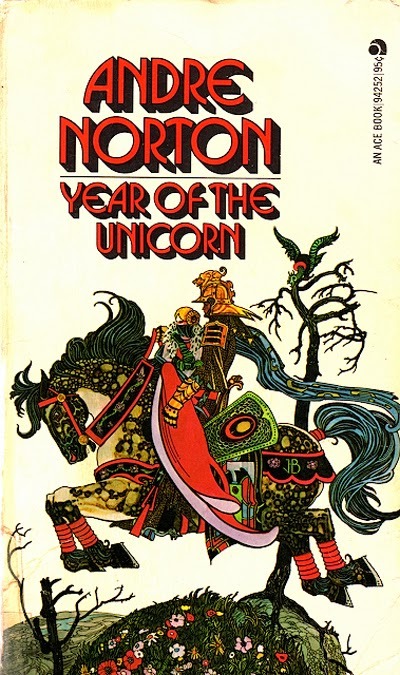 Year of the Unicorn (which I just reviewed over at Black Gate), is the first book in the High Hallack sequence (the Estcarp sequence is the other). 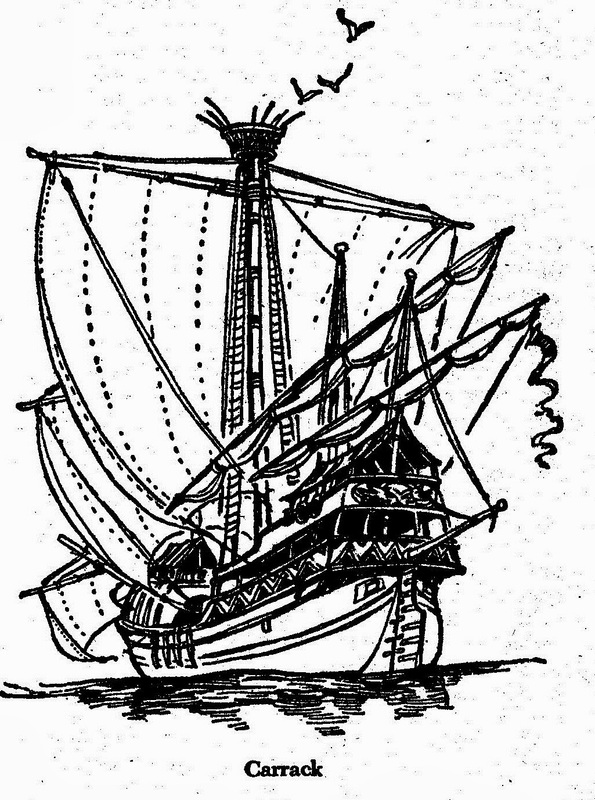 Norton based High Hallack on Yorkshire during the time of the viking invasions. She mimics history with the terrible war between the various small kingdoms of High Hallack and the invaders from Alizon across the sea. From what I've read so far, her greatest concerns with the war are appear to be not the battles but the dislocation of people and the overturning of the traditional order in High Hallack. There are too many widows and too few people tending the fields. Refuge is found only in distant, barren places. 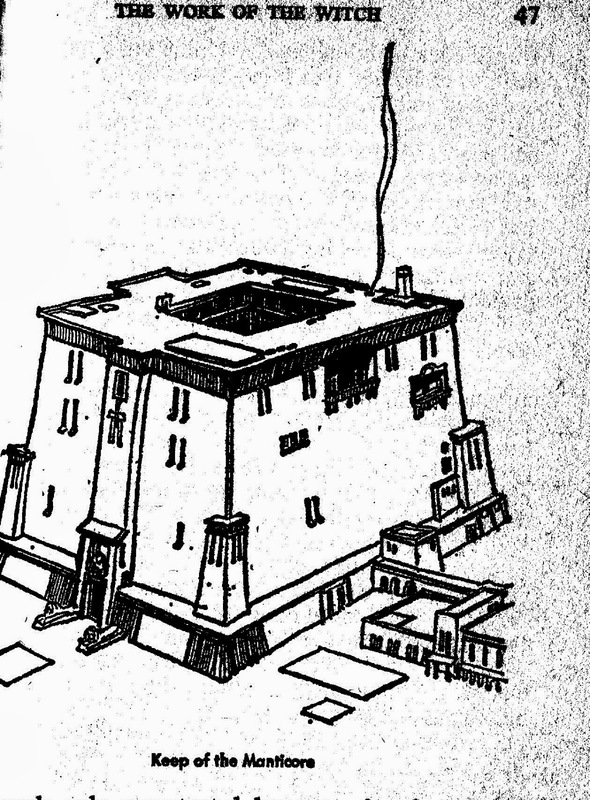 There's a realistic current of steady loss that runs through the High Hallack stories that gives them more resonance than encountered in much standard heroic fantasy. Even with the happiest of endings in her stories there's an understanding that prices must be paid, even if willingly remitted. I've read that some of the later books are a little dull but they're all pretty short and all together (according to ISFDB) they only add up to about 3500 pages. That's what, four Steven Erikson books? It's only a little more than the first five Wheel of Time books. Musically, this past week has been a deeper digging into British music. first I kept listening to Ocean Colour Scene. Then I mixed it up with the Charlatans, a band that came out of the Manchester trippy dance scene best typified by the Stone Roses. When Britpop hit in the mid-nineties, the Charlatans added some traditional rock sounds to their looser, more dance floor ones and created some really great music. After that I went back to the Modfather himself, Paul Weller. That led directly to digging out the other mod revivalist that appeared in the wake of Weller and the Jam in the seventies, like Secret Affair and the Lambrettas. This past week all these bands made me almost wish I was someone who'd get out on the dance floor.